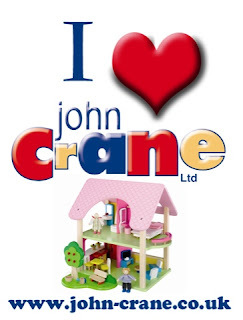 I'm rather excited and proud to be displaying a John Crane logo in my side bar! Nobody has ever asked before of they can be on my side bar so I'm flattered they picked me! I absolutely love their different collections, I really like wooden toys and games for my children so it's a brand I'm more than happy to support!